Our Starlight Beaded Personalized Mule features gorgeous beading and embroidery that is somewhere between celestial and floral. Choose your favorite colorway and heel height to create your new go-to custom slide shoe. Keep it classic with black mules, or make a statement with a brighter color. Saachi offers different embroideries featuring unique threading, raffia, beaded detailing and other customizations. Choose between three different options. You can cusotmize your show with a delicate flat, a 1" heel or 1" wedge. Saachi offers different high grade fabrics to choose between velvet or silk. Saachi offers a wide variety of color options. Choose between neutrals, pastels or spring brights. Choose your favorite color, fabric and heel size to customize your new mules to become a unique piece to cherish forever. Not only are they easy to wear, but they are perfectly sophisticated without sacrificing beauty. In the finest tradition of couture work, these shoes are meticulously handcrafted in India. They are made of the finest quality of raw materials into pieces of wearable art that express your own personal style and elegance. Saachi mules are handmade per your specifications in India. Estimated shipping time is 6-10 weeks. *SAACHI customizes and designs each shoe and slide specifically for their customers; therefore they are not kept in stock and ship within 8-12 weeks. Create personalized mules with endless options. Choose from various different color variations, embroideries, fabric types and heel types. After placing your order, the information will be sent directly to our friends in India. There, they will begin crafting your one-of-a-kind pair. How Long Until I Receive My Personalized Pair? Saachi Slides are handcrafted in India and will take 6-12 weeks to be created and shipped to the US. We will send emails periodically to let you know the process. Are These All The Color Options You Offer? If you are interested in further personalizing your slides please call (914) 934-9006 and we can help discuss more options. Our goal is to help you create your perfect shoe! Start by choosing your favorite embroidery, next you can choose the color of the shoe, fabric and heel type. Don't forget to put in your shoe size. We recommend if you are in between sizes to go up one size. The next step we will send all your personalizations to India where they will be handmade. All personalized items on saachistyle.com are final sale. If you are unsure about sizing or coloring, feel free to call us at (914) 934-9006 and we will do our best to get you accurate coloring and sizing. If you do not want to order a non-returnable item, we recommend purchasing our in-stock collection. What Makes These Shoes Unique? Saachi has had a relationship with a high-end shoe-maker in India for over a decade. These experienced shoe-makers pride themselves on creating one of the most delicately designed shoes in India. Using materials and textiles that are usually out of range, each piece is a take home piece of luxury. 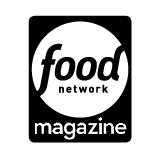 Saachi Slides have been featured in Food Network Magazine's November 2017 issue as one of Ina Garten's must haves and were also featured in Oprah's O Magazine in the November 2016 issue. Customers have the option of crating their shoe exactly how they see fit. Choosing from many different color options, different embroideries, fabric type and heel type - no shoe is the same. After placing your order the information will be sent directly to our friends in India. There, they will begin crafting your one of a kind pair. If you are usually in between sizes, we recommend sizing up. If you are usually an 8.5 in shoes, you will fit best in a size 9.